Reliance One is proud to grow their internal staff by welcoming four new Technical Recruiters to the team. Jim Uelmen and Wayne Coulman have been actively recruiting for two weeks and have contributed to the growth of their Account Manager’s territories. “I am enjoying my time at reliance one, I like the team, atmosphere and the continuous encouragement to gain personal growth,” Jim expressed. Both Jim and Wayne are off to successful start, Reliance One is eager to see them thrive in their positions. Jack Thomas and Kathryn King are currently in the training process and will be on their own next week. Jack attended Eastern Michigan as a graduate student and enjoys watching and playing golf. Kathryn is currently working toward earning her Master’s and was referred to the position by her Account Manager, Ryan Long. Ryan mentioned, “She will be a great addition to our recruiting team. She brings energy, drive and a great attitude to Reliance One. I’m excited to see her grow as a Recruiter and look forward to helping her reach her professional and personal goals.” All four Recruiters will help Reliance One reach the continuous goal of developing new business and breaking in to new territories. This Friday, September 28, Reliance One will be in attendance for the 12th Annual Automation Alley Awards Gala. The yearly occasion is one of Southeast Michigan’s premier business awards events. Automation Alley will honor the accomplishments, success stories and continued growth of those leading Southeast Michigan toward a bright technology future. Reliance One is thrilled to be attending, we look forward to networking with other local companies. Another successful business partner, Ryan Long, has devoted himself to the company for 4 years as of September 22, 2012. Uniquely Ryan transitioned from a Recruiter into the Account Manager Position in less than 2 weeks. “It’s hard to believe it has been four years since Ryan joined The Reliance One team. From day one, Ryan made an impact on people and the way we do things. Since then he has become a two time contest winner and continues to make others around him better. It will be exciting to watch what he accomplishes over the next four years,” Acclaimed Reliance One founder, Jim Beath. Reliance One is honored to have such loyal employees like Kevin and Ryan. We wish them continued success as they move forward within the company. Wednesday, September 19, 2012 marked the date for the 13th annual Chrysler Matchmaking event. Reliance One was in attendance along with thousands of other companies to showcase themselves to key decision makers in the Automotive Industry. As a Certified Minority Owned Company, it was an honor to be invited to such a distinguished event. Jim Paquette, Company Owner, commented on the great turnout of the event, “I was very impressed by the amount of support this event had. It was a huge success and enabled us to exhibit ourselves as a company that’s prospering.” Reliance One will continue to brand itself by attending local networking events. Reliance One is privileged as a Certified Minority Owned Company to be attending the 13th annual Chrysler Matchmaking event tomorrow, Wednesday September 19, 2012. The purpose of this event is to align Minority Business Enterprises and Women’s Business Enterprise with suppliers for the automotive industry. Chrysler places a large emphasis on supplier diversity and takes an active role in facilitating relationships amongst companies. “The Matchmaker Event has generated $1.8 billion of new opportunities for minority businesses,” as quoted on the Matchmaker invitation. Registered visitors will have an opportunity to showcase their products and/or services to the Chrysler Group at this event by setting up exhibits and networking with decision makers. If you’re attending the matchmaking event we look forward to meeting you. Marketing & Sales Executives of Detroit (MSED) is an association of accomplished sales and marketing professionals that recognize the powerful advantage of building and nurturing relationships with their peers. Each year one individual and one team are honored with the MSED Platinum Awards that acknowledge strength in the areas of marketing and sales. The nominees are recognized by people in the industry and invited to interview in front of a panel of judges in order to determine the award winner. This year Reliance One has been nominated as a Platinum Award Finalist. As a company Reliance One works hard to provide solutions that will enable our customers to meet the evolving workforce demands and solving staffing challenges. Being named a finalist among such a variety of hard workers is an honor. Reliance One will graciously accept the nomination and thanks the MSED for the consideration. Hiring Our Heroes a Success! 11 years ago today, our Country was changed forever. We must never forget what happened on September 11, 2001 or the brave souls who fought for our country and are still fighting today. These men and women are our heroes. Last Friday, September 7th was a chance for us to give back to members of the military, veterans and their spouses at the Hiring our Heroes job fair. 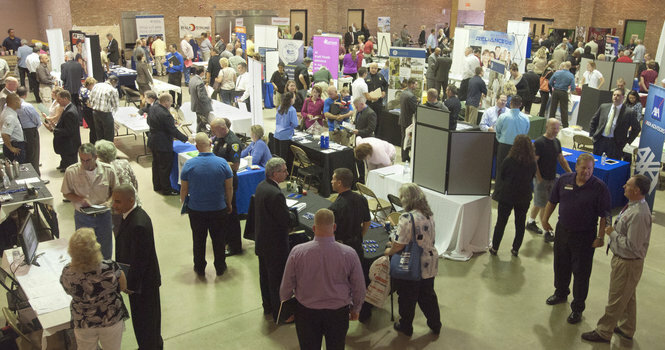 The event hosted over 50 vendors that filled the National Guard Armory located in Midland. Sean Hill and Katie Streeter represented Reliance One at the event. Katie commented, “We were able to spend one on one time with the candidates who were all extremely professional. The career fair was a definite success.” Look for Reliance One at Walsh College’s Career Fair next week on September 19th. August 27, 2012, Lansing, Mich. – Businesses in Lansing have a new neighbor as Reliance One opened its doors to a new office building in August. The goal for the new office is not only to grow the geographical presence of Reliance One in that zone, but to expand the City of Lansing into the thriving region it once was. The decision to launch a new location was imperative with the recent placement of more than 20 employees in a healthcare facility. Reliance One prides itself on a 24/7customer service model with clients; the ability to be onsite within minutes of a request ensures the company is true to its identity. Businesses like Full Spectrum Solutions, a Jackson manufacturing company, and Tripp’s Auto Shop and Collision Center are expanding to create more jobs in the area. Full Spectrum Solutions recently purchased two new computer numerical control (CNC) machines in order to produce more parts in-house, which will allow them to work with more Michigan Manufacturers. Kyle Leighton, spokesman for Full Spectrum Solutions, commented saying, “It’s better for us, it’s better for the economy.” The Sales Team of Reliance One is looking to partner with corporations in the area to help establish the necessary personnel and solve company’s staffing challenges. Three employees, including an Account Manager, Recruiter, and Administrator are stationed at the Lansing office, where they continue to work hard day in and day out to network with surrounding businesses. 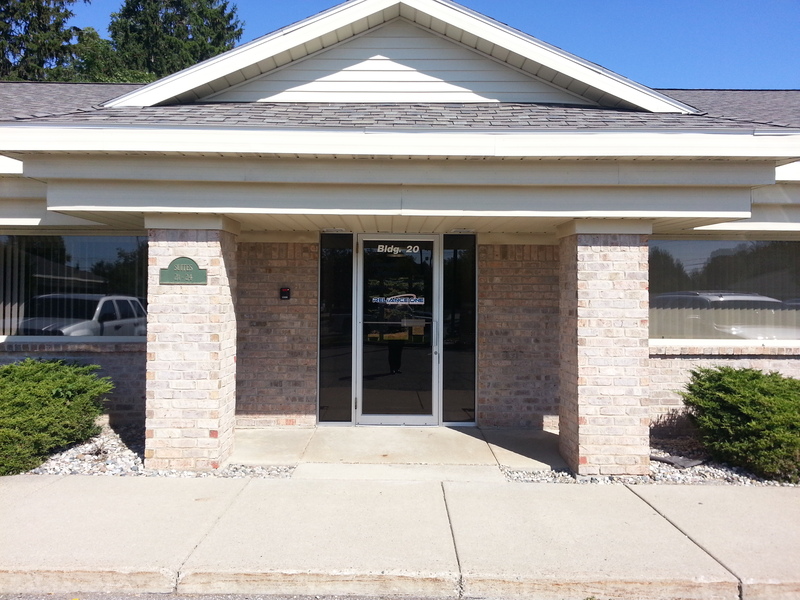 The Reliance One office is located at: 15851 S US 27, Building 20, Suite 21, Lansing, MI 48906. If you are in the area or seeking employment, please contact us; 517-574-7021. Calling all Veterans and Military Spouses! September 7, 2012 Midland, Mich. – The U.S. Chamber of Commerce is hosting a hiring fair for veterans and military spouses this Friday, September 7th at the Midland National Guard Armory in Midland, Michigan. The objective of this free event is to assist military veterans and transitioning service member’s by marketing them to employers. Reliance One will be attending this one of a kind event with two experienced recruiters, Sean and Katie, who will be there to give information on our current openings and answer questions. Stop by and introduce yourself if you’re attending the event, we’d be delighted to meet you!